Incepted in the year 1998, Spangle Steel has a vision to provide matchless solution for warehousing and storage needs for a variety of industries and oraganisations. 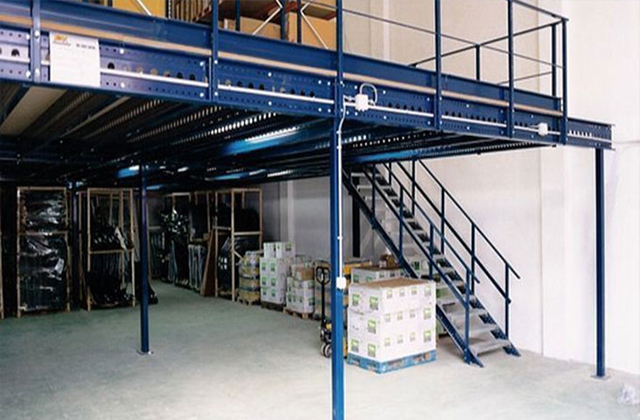 We put our best step forward in manufacturing, supplying and installing an all- inclusive range of office furniture made in metals and steel, slotted angles & display racks, mezzanine floors, mobile racking system, porta cabins, prefab building systems and much more. Located in the boisterous city of New Delhi, we have achieved an in-depth knowledge during a decade of broad experience in this industry which leads us to new levels of accomplishment. We are growing remarkably in the domestic markets. We provide outstanding level of satisfaction to our clients by working in tandem with our highly specialized and skilled team of professionals. A perfect amalgam of professionals and highly active R&D wing facilitates us to establish ourselves in this competitive scenario. With the assistance of strategic tie-ups with various reputed C&F agents, we never fail to meet the testing demands of our clients with enthusiasm and within stipulated time. A flawless and innovative range of products with customization is made available together with a competitive pricing policy. Moreover, we give special attention to the maintenance of our machinery to keep them in excellent working condition, so that the bulk orders can be delivered to our clients without any justification or delay. Understanding the differentiation in the requirements of varied clients spread all across the nation, we believe there is no use of the product if it can not attend to the needs of the user. Hence we work in close coordination of our clients to manufacture highly customized product. Research and Development is the key strength of our organization. Our R&D wing is supported by I.S.O department, which provides us more opportunities to develop the qualitative and innovative products in sync with on-going market trends. Our research and development personnel are constantly involved in carrying out intense research to update the products in compliance with the latest technology. They also provide their valuable suggestions to improve the features of existing products. Our success owns due regard to our talented manpower and their perseverance. Our team comprises of highly qualified engineers, technocrats, machine operators, supervisors, quality control personnel, R & D personnel, sales and marketing representatives. The professionalism, experience, untiring efforts and innovative approach of our team members, together makes our products unique and flawless. Further, we never fail to update and polish their existing skills and update their knowledge about latest market trends so that they can be ahead of times and together they strive for excellence.